Feel a peaceful life hidden in local villages. Ride through the temples zone with many sacred monuments to discover. 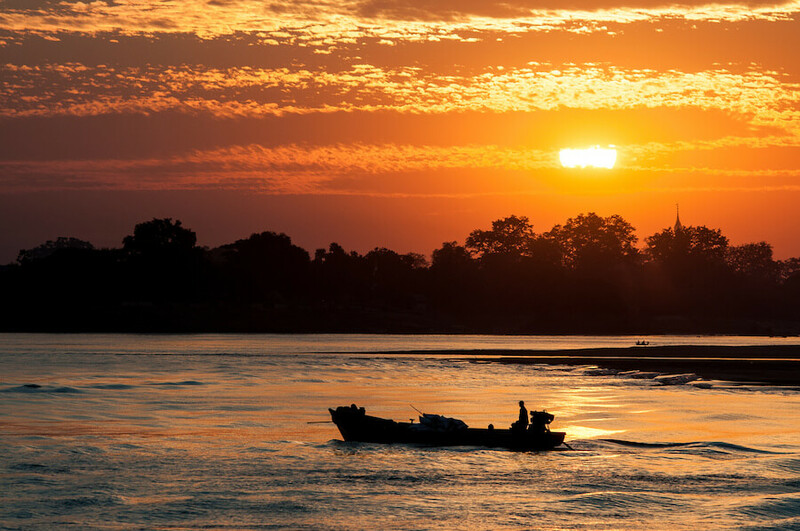 Enjoy a sunset cruise among the beauty of mighty Irrawaddy River. 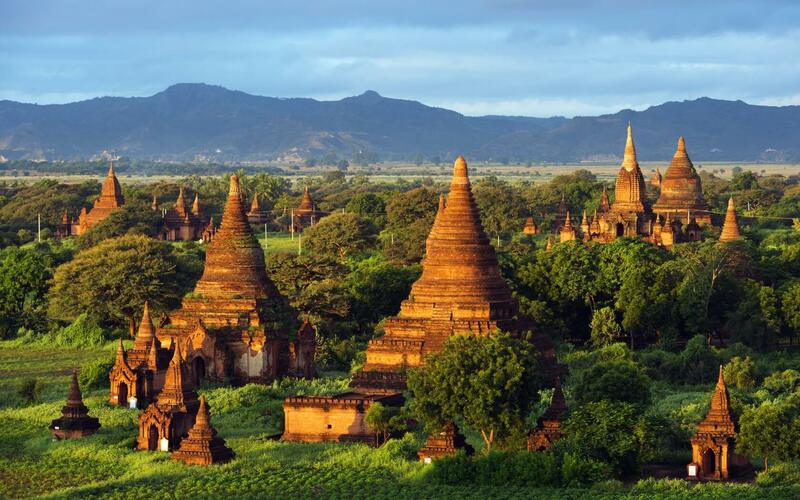 As the famous land for the unique ancient beauty, Bagan is ideal destination for a nice adventure. 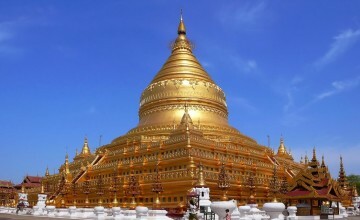 Specially, this cycling adventure is designed to give you chance to enjoy the unique route in Bagan with without-doubt memorable experience. This adventure starts when we pick you up at your hotel (pick-up time is in tour confirmation). Then, we transfer to a meeting point where the awaiting bikes are ready to serve you. Once the equipment is completely OK, we set off riding. Quickly, we will arrive in small villages hidden amid the arid landscapes. The local life is as a pitch played on a slow rhythm in which you are more likely to encounter a cow or pig on the road than another vehicle. Depending on time of years, we may see the ox-carts piled high with chilies or garlic brought from the fields. We also may see the mischievous groups of children playing kites on their days off, which is an authentic image for visitors because it reflects the true life in the dry zone. 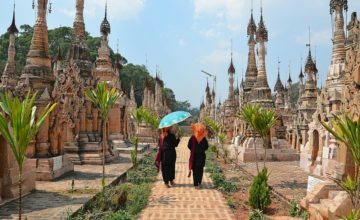 Leaving the local-life picture behind, we turn the way into the temple zone where the sacred pagodas play as the backdrop. Transfer along small tracks and trails and wind through the plains. Please note that this section of Bagan is not easy to reach so that we need to conquer it by ourselves. Don’t worry! We will stop en route at the shade of an pagoda to refuel with some snacks before continuing our exploration across the temple plain. 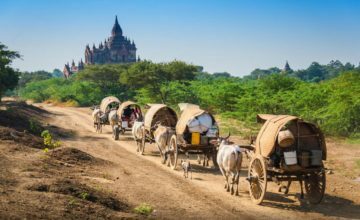 With all our respect, the monuments we pass are not well-known but we make this arrangement because the route exposes the grand scale of Bagan and sheer number of pagodas. After the interesting biking adventure, we concludes with a private sunset boat ride on the mighty Irrawaddy River. In the early evening, we board the boat and relax with a cocktail and snacks. Cruising to the middle of the water where a panorama of temples makes our view more amazing, we enjoy the last rays of sun cast upon Bagan. Following the sunset cruise, we transfer you back to your hotel by van or local truck and say goodbye. End of the Bagan Sightseeing Biking Tour! 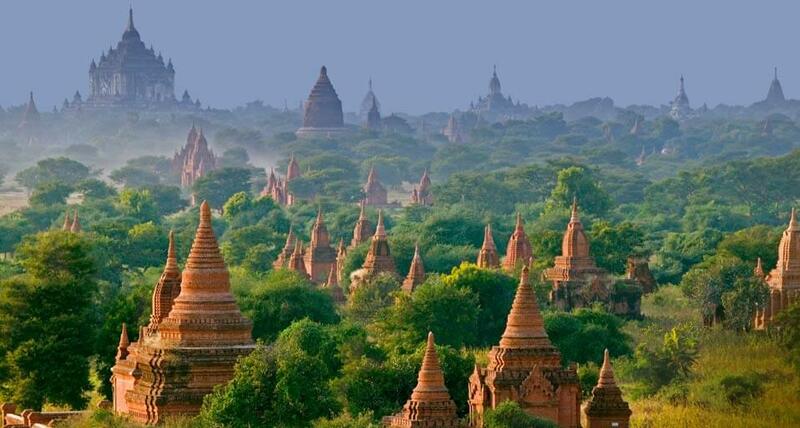 Thank you for your interest in Bagan Sightseeing Biking Tour. Please fill in your details below and we will contact you by phone or email within 24 hours.